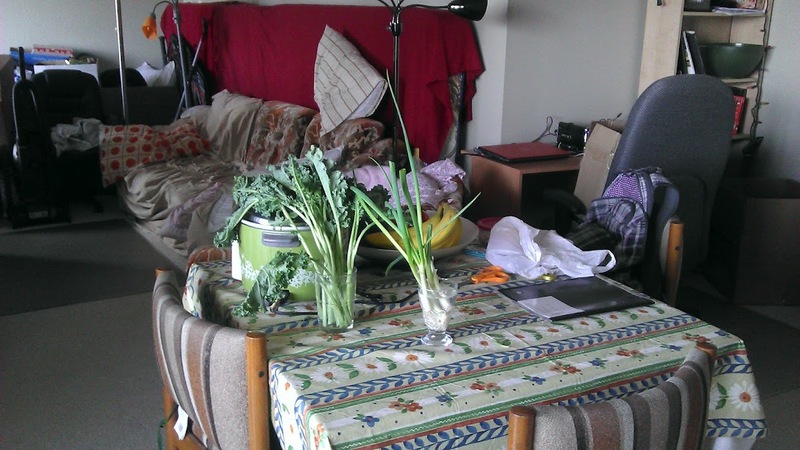 The Ghetto Gourmand: Motherly nature? Mother Nature? I have green onions in some water growing vigorously - that is, faster than I can use them as I also have chives outside I'm using too. I've never heard of reviving kale that way before... celery, but not kale.